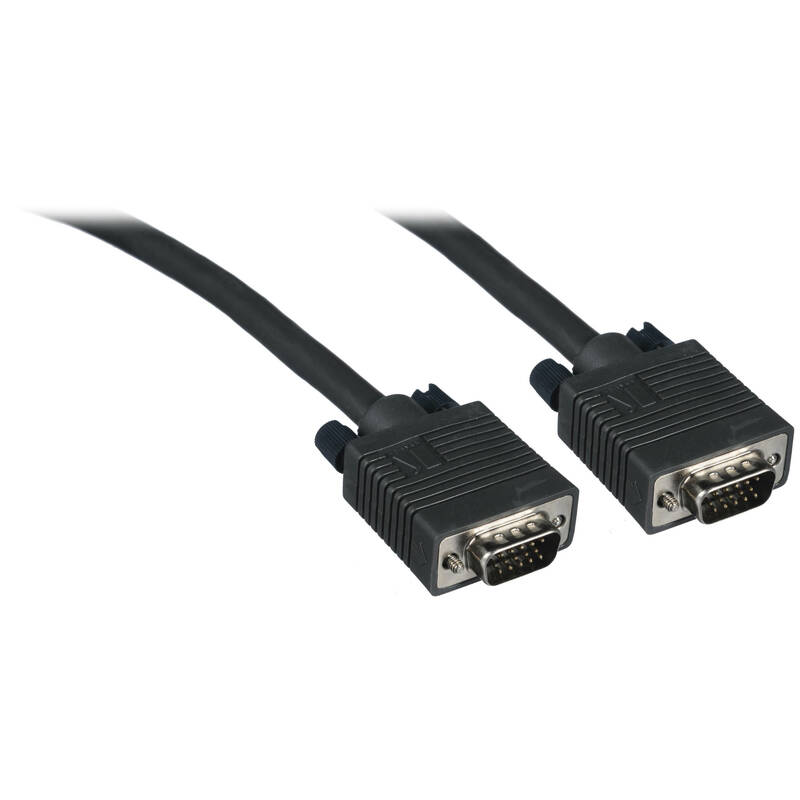 The Kramer VGA Male to VGA Male Cable is used for connecting a VGA source, such as a laptop or a desktop computer's graphics card, to a display, projector, or other VGA-compatible devices. Mini coaxial cabling (26 AWG) ensures accurate transmission, while the molded 15-pin HD connectors' thumbscrews and gold-plated pins help you connect the cable with ease. Box Dimensions (LxWxH) 6.2 x 6.1 x 1.3"